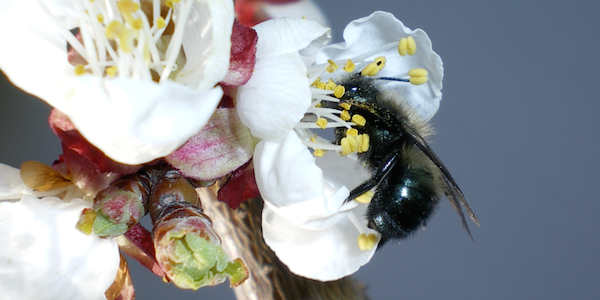 Learn to identify many of the hundreds of native bee species around us here in the Okanagan. 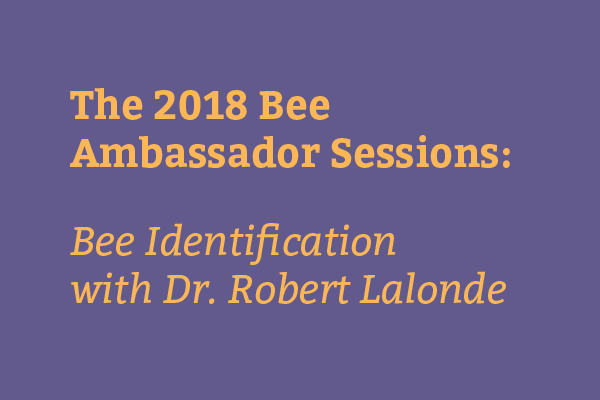 From the lab to the field, entomologist Bob Lalonde will provide us with ways to identify the different types of pollinating insects. 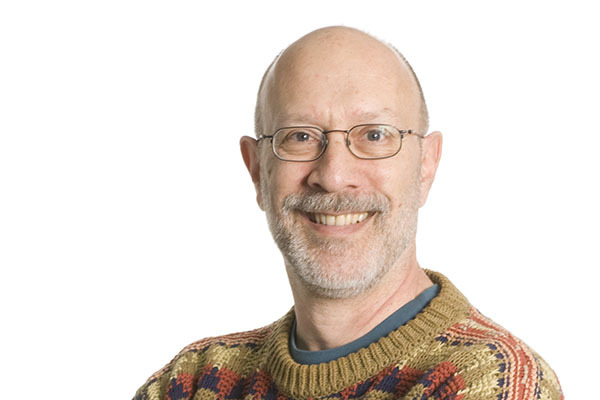 Bob is a fun and incredibly knowledgeable teacher and you will leave with new insight and skills to help enjoy our local pollinators, impress your friends and engage in citizen science! 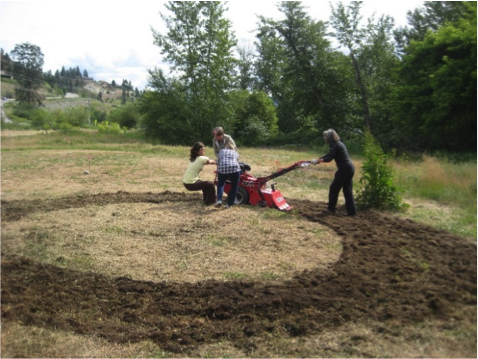 Everyone is welcome to come to the pollinator pasture for a seeding and spring growth day! 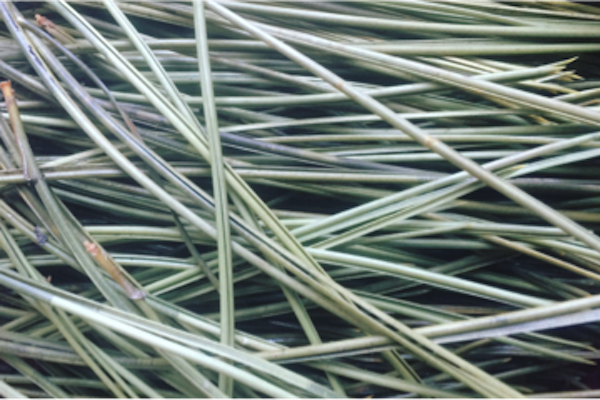 We will have a major day for prepping, seeding, mulching and protecting plants on site. We will provide a lunch for people who will be there over the noon hour. Bring family and friends and stay for one hour or the whole time. Bring work gloves and ideally a good garden rake. Wheelbarrows, shovels, and trowels are also useful if you can bring them. 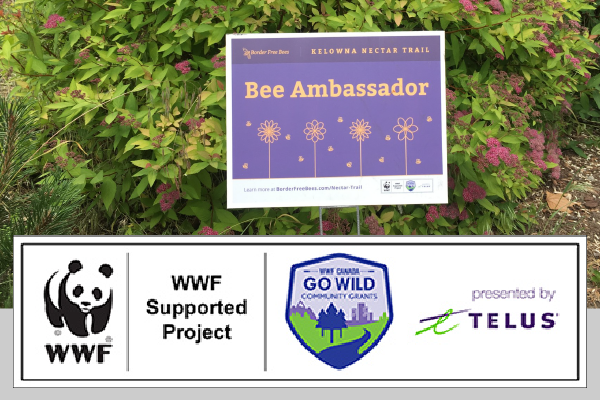 Become a Bee Ambassador in the City of Kelowna! 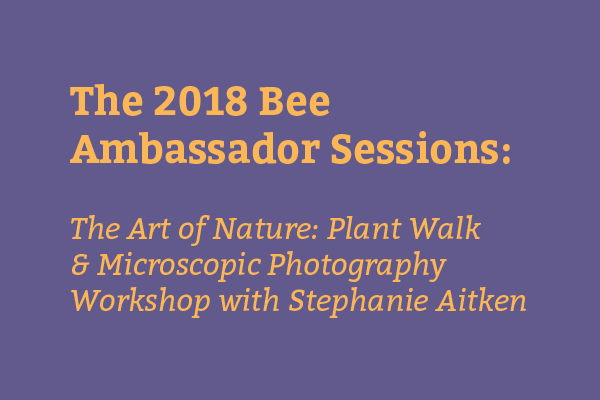 Find out what you need to know to become a Bee Ambassador! 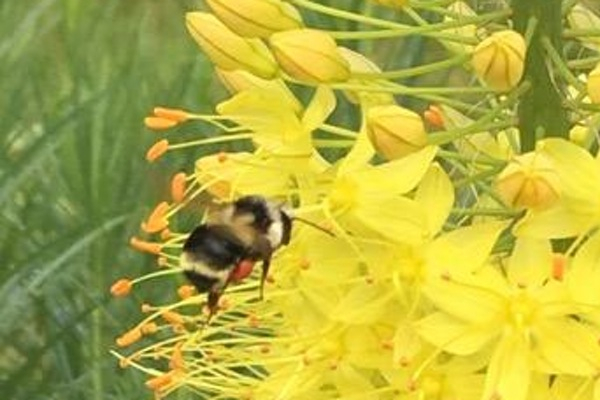 Get expert advice about how to support pollinators from Border Free Bees and their partners: the Okanagan Collaborative Conservation Program, Seeds Co Community Conservation, The Okanagan Master Gardeners, and the Okanagan Xeriscape Association. 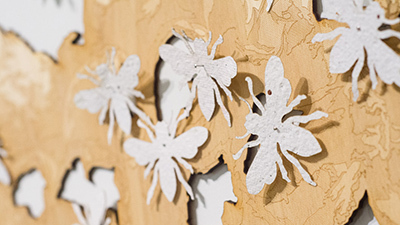 And learn about mason bees with artist Lori Mairs. All welcome. Free of charge. 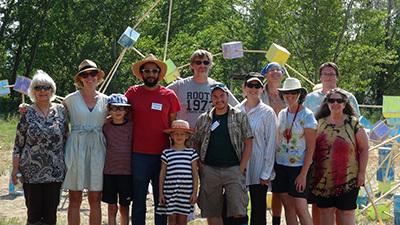 “Bee-Decking the Meadow” Final Celebration! 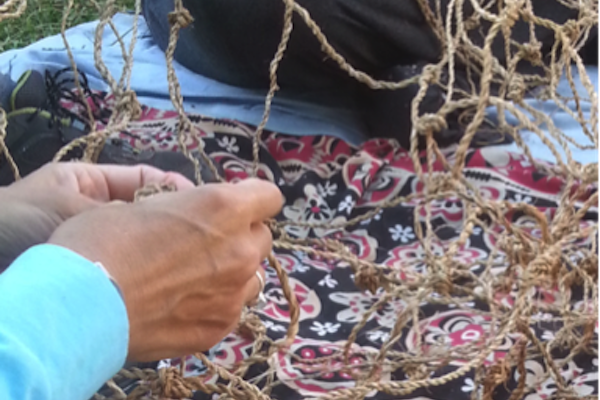 Join us in celebrating the installation of this community project! Local refreshments will be served. Guest: singer/songwriter Maiya Robbie. 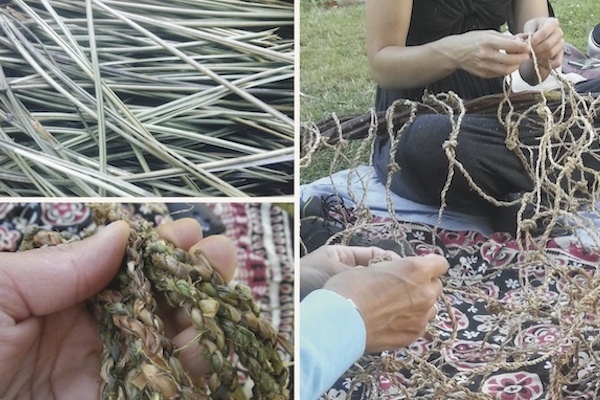 Learn to coil pine needles using stinging nettle fibre as thread. Guest: Cellist guitarist Nils Loewen. 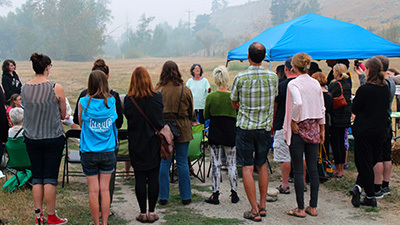 The success of Kelowna’s first nectar trail will be celebrated. 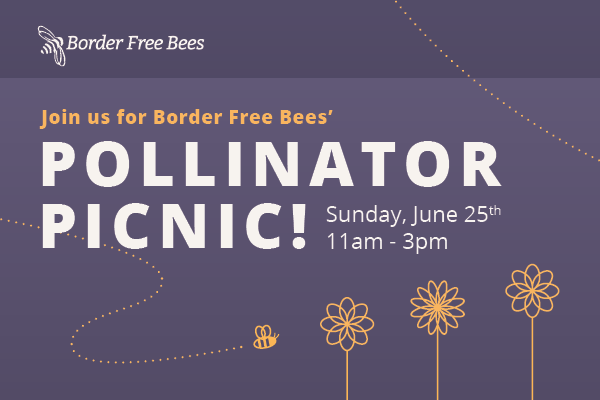 Border Free Bees is organizing the Pollinator Picnic to raise awareness about wild pollinators and to celebrate the completion of Kelowna’s first Nectar Trail. The family-friendly picnic will include educational booths and displays, music, a bee observation hive, and activities. Bring a picnic lunch. 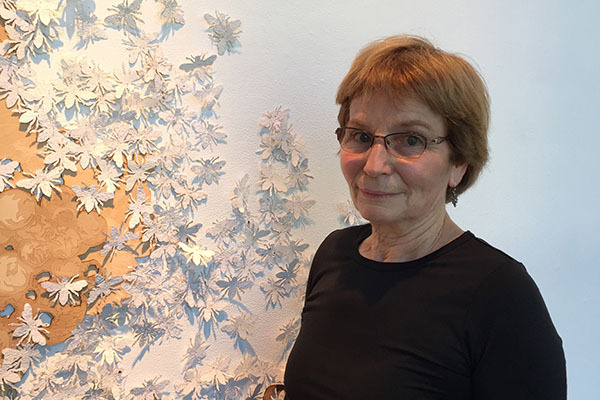 A Swarm in June, a special community art creation by Armstrong artist Rhonda Neufeld, will help entertain kids of all ages. 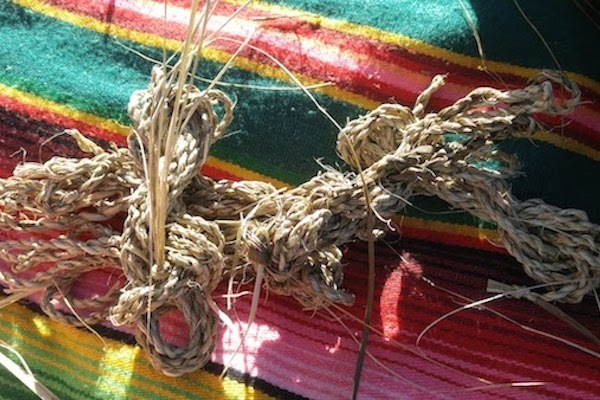 Identify local bee species and learn to use science tools that will help track them! 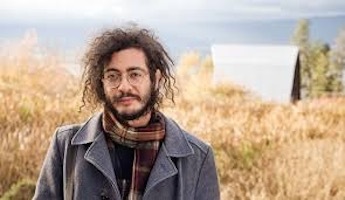 Gabe Cipes (Summerhill Winery) will give us a hands on introduction to growing without pesticides in the Okanagan using a Biodynamic approach. We will be meeting outside come rain or shine, so dress for the weather! 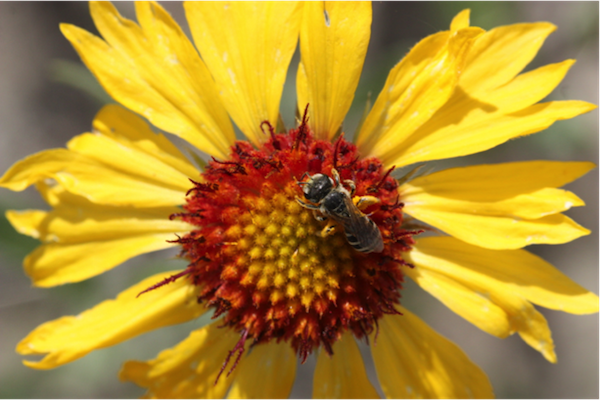 Tanis will introduce you to native Okanagan wildflowers, and how to include them in your yard to support wild bees. 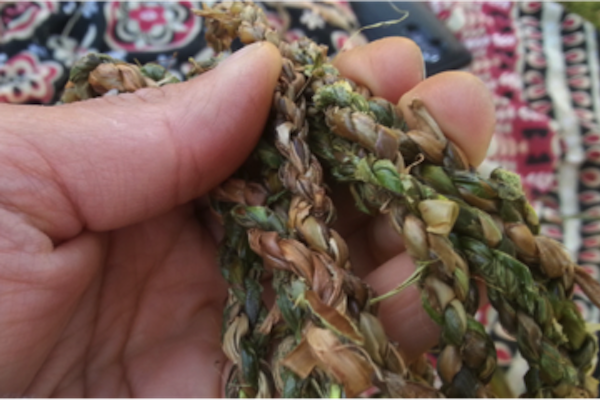 You will learn about seed collecting, storage, and conservation, the ecology of growing native plants, and have the opportunity to do a garden plan and take home some seeds. 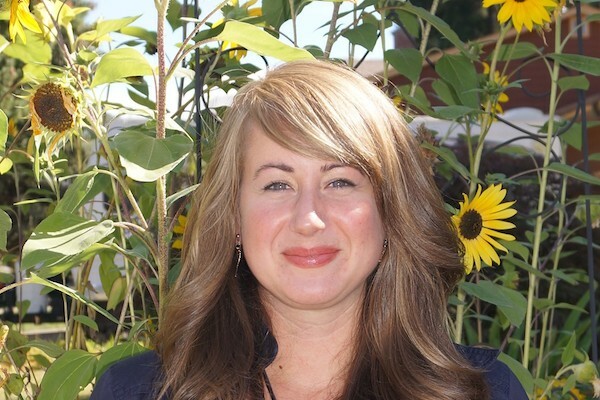 Eva Antonijevic is a registered professional biologist and the Program Director of the Okanagan Xeriscape Association. This presentation will illustrate the basic principles of how to create a diverse, drought-tolerant and pesticide-free habitat with plants that bloom from spring to fall to provide nectar and pollen throughout the season for all beneficial insects. Mark Winston, author of the Governor General award winning book Bee Time: Lessons From the Hive, will give a talk to conclude the exhibition For All Is For Yourself and the public will be invited to take the paper bees embedded with Gaillardia seed off the walls of the gallery to plant in their own gardens. Free admission. 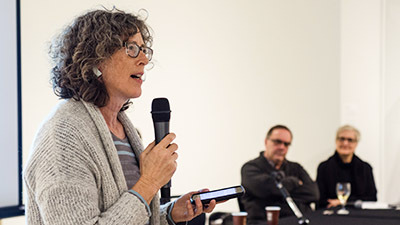 Supported by the Canada Council for the Arts. 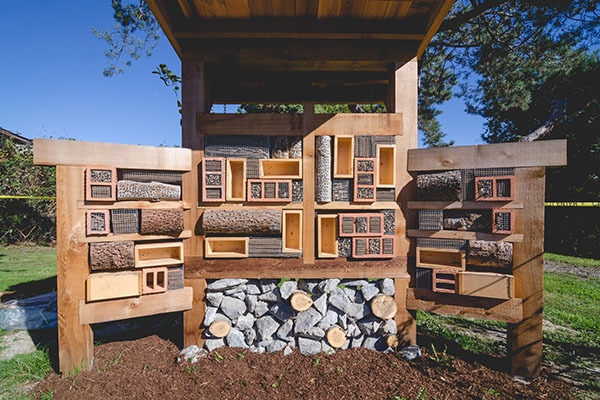 Help us build a home for pollinators and pest controllers. 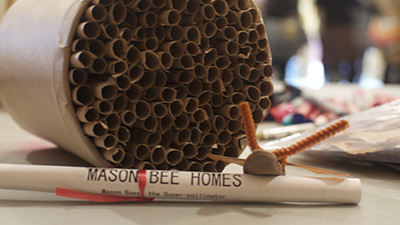 Many solitary bees and other insects live in bee hotels all over the world. 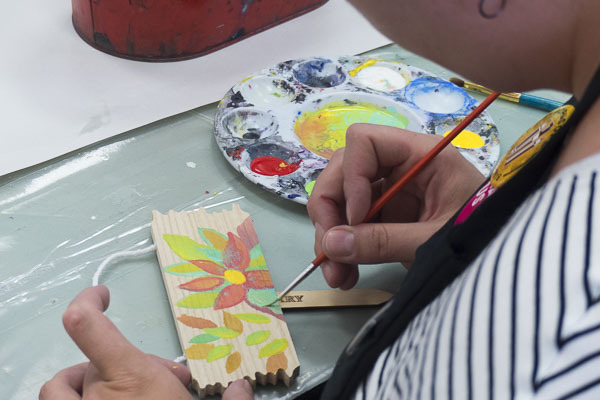 This one is being built to be permanently placed on site at Brent’s Grist Mill Heritage site as part of Culture Days and The Kelowna Public Art Pollinator Project. Free Admission. Did you know many bees actually live in the ground? And that healthy garden homes for bees have some special requirements? 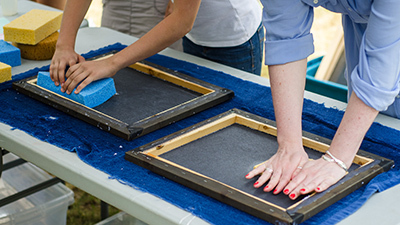 Let’s make some special signs to mark where we find bee homes in our yards and to let our neighbours and friends know we have Bee Friendly Gardens. Claudette and her spouse, Eian, will share their vast knowledge and experience of over 50 years of beekeeping in the Okanagan. 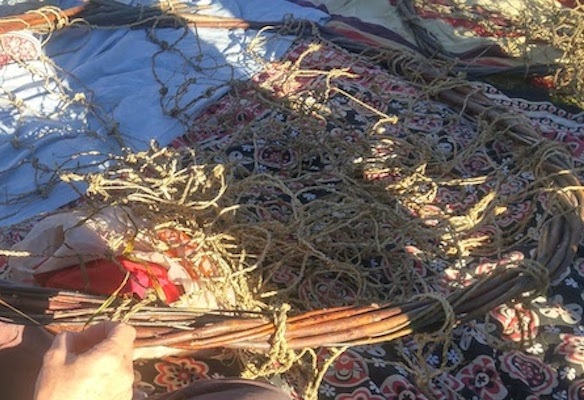 She will share photographs, discuss honeybees, the land and the changing climate they have experienced farming on one site for many years together.